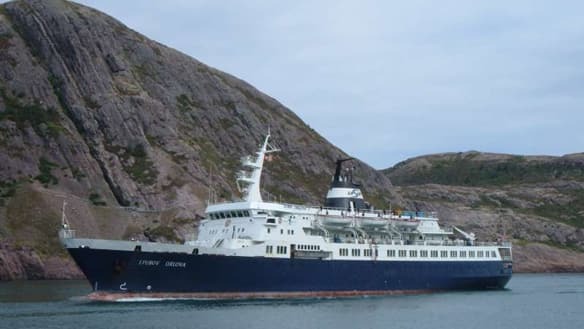 Workers aboard a popular Arctic cruise ship who've been stranded in St. John's since authorities seized the vessel six weeks ago in will be heading home to Russia starting Saturday. Local residents have donated everything from food to clothes to cigarettes to help crew members who are owed months of back wages. Their ship is named the Lyubov Orlova for the beloved Russian actress who is perhaps best known for her work in the 1934 comedy, Jolly Fellows. But the International Transport Workers Federation says there's nothing funny about how the ship's former Russian owner failed to pay 52 crew members about $340,000 in wages. The 50 Russian workers and two Ukrainians are to be paid as part of ongoing negotiations for the sale of the 122-passenger vessel to a Norwegian company, federation inspector Gerard Bradbury said Thursday.